Little Wave and Old Swell recounts a journey across the sea made by impetuous Little Wave and his sage teacher, Old Swell. Their allegorical adventure points young and old readers toward the enduring questions: Where did I come from? What is the nature of life? What happens when I die? Old Swell's lessons remind us to stop amidst the rush and clamor of life, calm ourselves, and look within. Little Wave's misadventures show us how our noisy, competitive lives can distract us from life's important questions. The book's mantra Don't hurry; don't stop suggests the pace of a long ocean swell as an alternative to today's frenetic tempo. 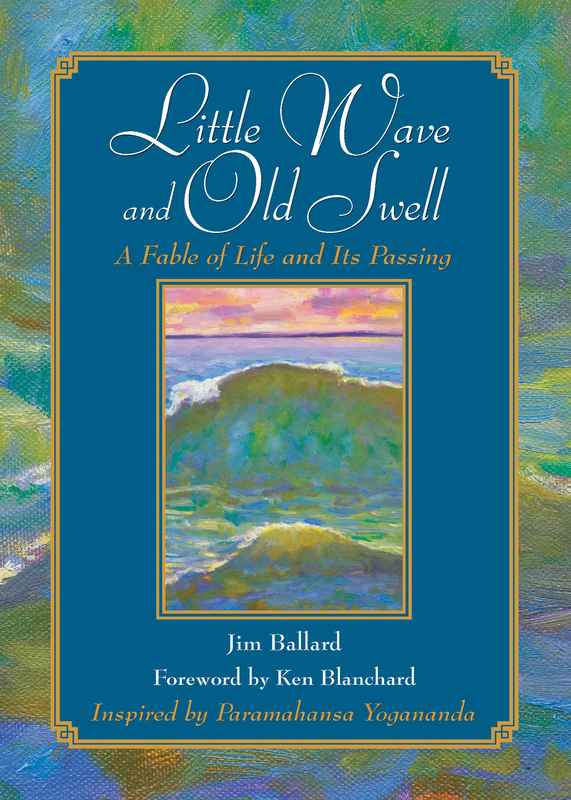 Written with uncomplicated charm by Jim Ballard -- including original oil paintings by Catherine M. Elliott and a foreword by bestselling author, Ken Blanchard -- this timeless tale is certain to take its place with other classic and engaging parables such as The Little Prince and Jonathan Livingston Seagull. "Little Wave and Old Swell is a classic. If you get its message, you will understand the true meaning of enlightenment and freedom." "Reading Little Wave and Old Swell I was impressed with the beauty of the writing and the depth and simplicity of the narrative. Its message of 'Don't hurry; don't stop' is one we all could heed amidst the rush of life." -- Gary Wright composer/performer of "Dreamweaver"
"Enjoy this story. Read it many times. Let it speak to your heart and reintroduce you to the wonder that breathes from everything in the world."